A group of 11 people, including artists, writers and architects, collaborated to create the artwork at the Ballpark Station. The Ballpark Station in the People’s Freeway neighborhood is rich with history and local pride. Artwork reflecting this richness includes colorful painted images on railing panels, color tile insets in the platform and etched images in the windscreen. The tree grates follow the history of the ballpark, a keystone of this community. 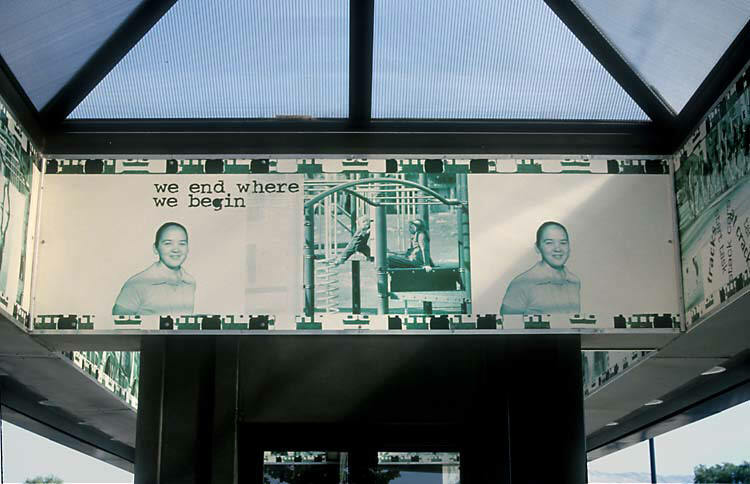 An extensive photo frieze, capturing the essence of the neighborhood, stands as a reminder of the people in the community to whom we are indebted. 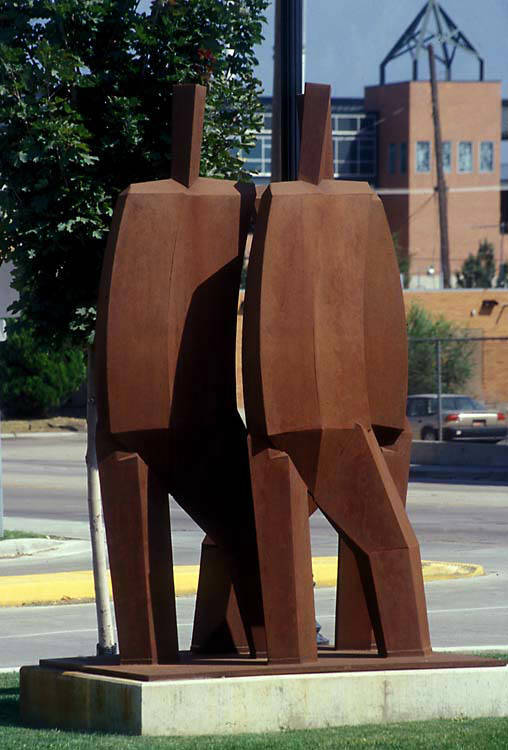 Queue, a corten steel sculpture by Utah artist Cordell Taylor, represents the riders who use the TRAX light rail system. It is prominently installed at the entrance to the parking lot.